If there were such an award in the makeup world as best applicator puff, this product would definitely win the award this year and the next hundred years to come. 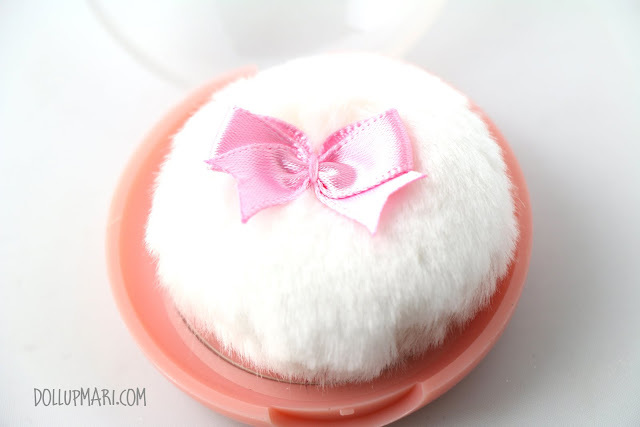 Or actually, this puff isn't really a puff but rather a fluffy pompom inspired by the behind of a bunny. Okay, enough about the puff (althohgh it's so worthy of being talked about), I'll now proceed to talking about Etude House's Lovely Cookie Blusher in greater detail! I figured it'd be easier to talk about the blush based on how it looks like on me, so here's me sporting this blush! This shade is in Peach Choux Wafers. I bought this from the BDJ Box Store for Php348. 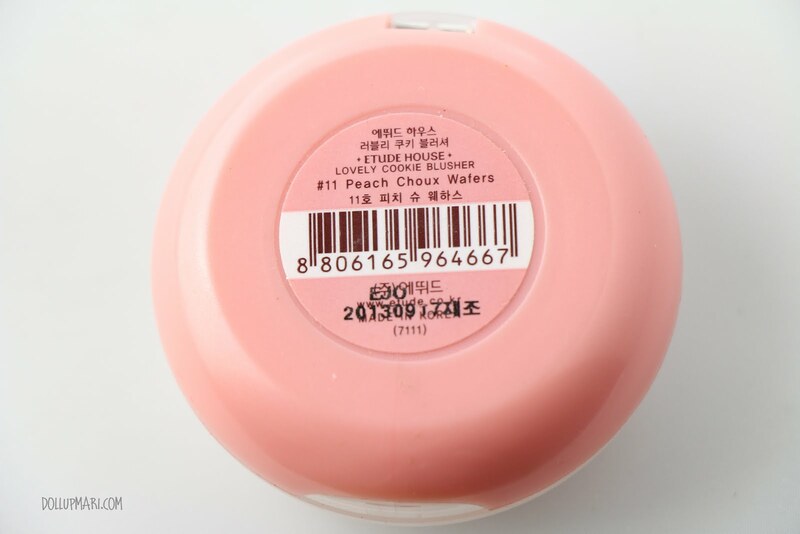 Initially, I thought it'd be peach (as in bright yellow orange) kind of peach based on the name. 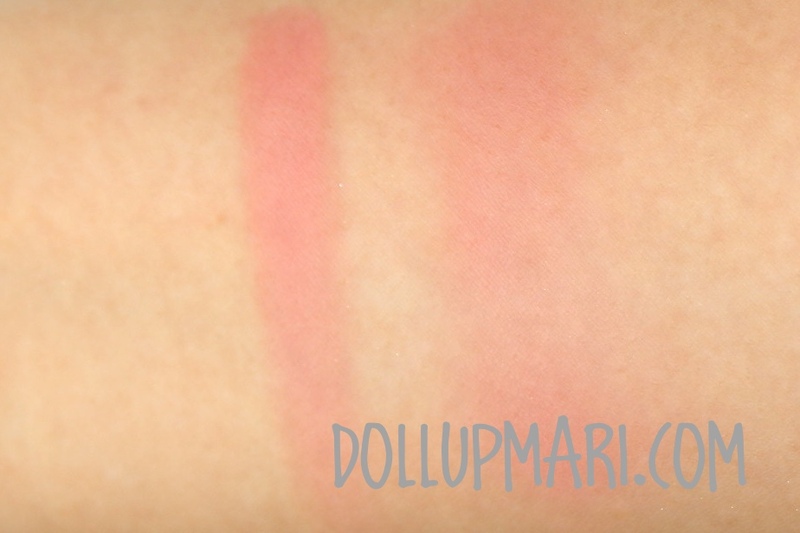 Also, since this is a shade of the whole line that seems to not be as popular as the others, I kind of had a hard time looking for decent photos and swatches. I just decided to get this after thinking that an orange-ey blush would be good for my collection of blushes full of pinks and reds. 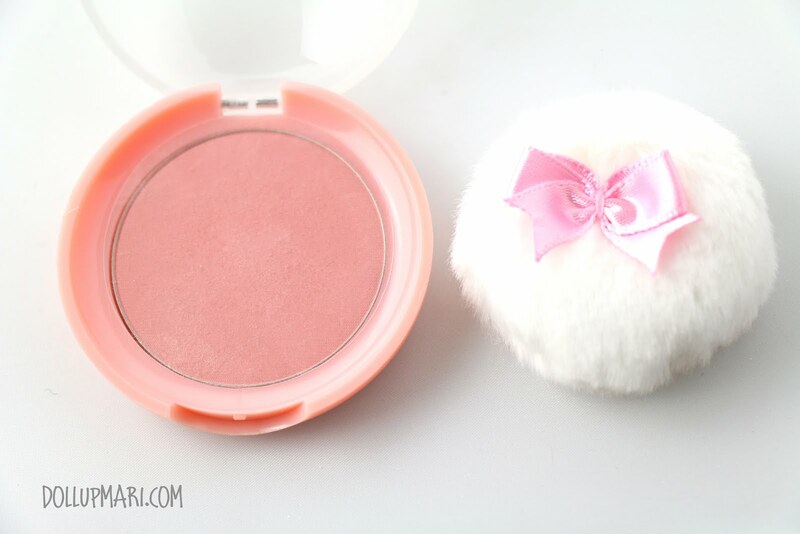 When the blush came, the first thing I noticed was how large the lid is. It was bulkier than I had imagined. This is one of the items that you don't really know if it's universally suited for travel. 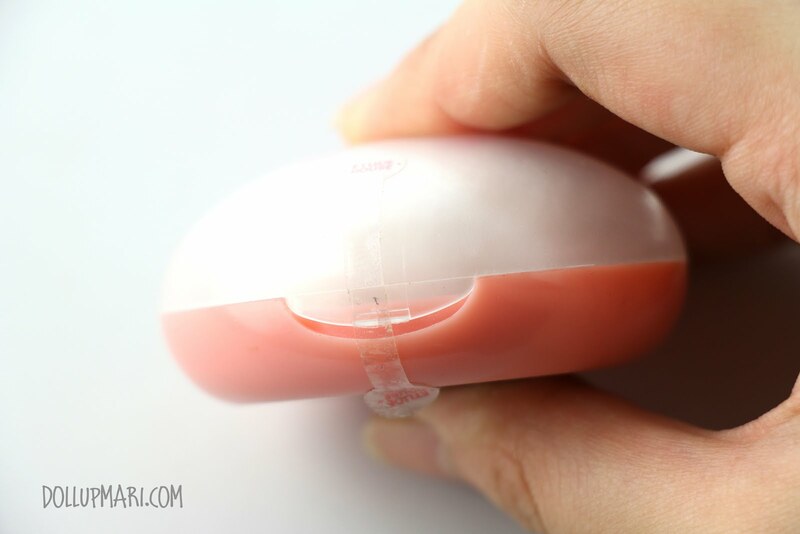 On one hand, it's got a puff that will eliminate the need for a brush or for staining your fingers, but on the other hand it's too bulky especially if you plan to just pack light in the makeup department. For consumer safety, it did come with a seal, I was just too excited to open it up before taking photos that it looks abused now. 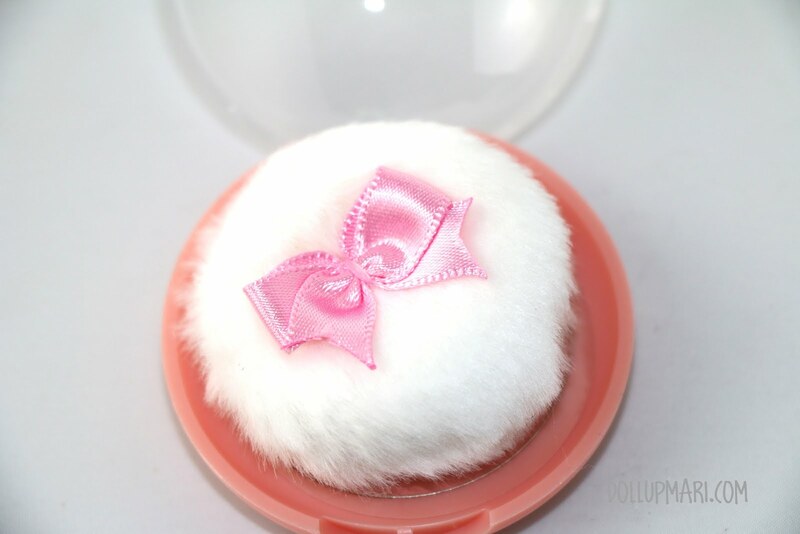 Huhuhu this puff is just the most beautiful blush puff I have ever seen. It's so fluffy, I mean soooooooooooo fluffeh I'm gonna dieeeeeee. And the pink ribbon accent piece on the center just caught me off guard (anything with bows gets an automatic +1000 pogi points from me). 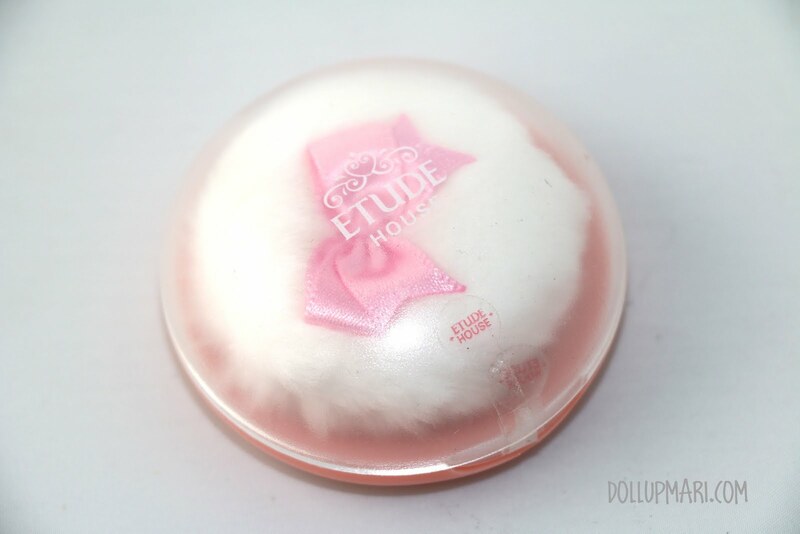 Since the puff was so cute I was worried that on the other side it might have been rubbing onto the blush for decades and is already so saturated. 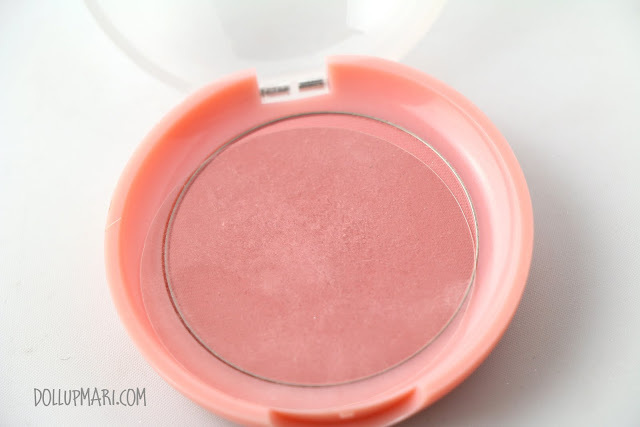 I was so relieved to see a small acetate sheet on top of the blush. 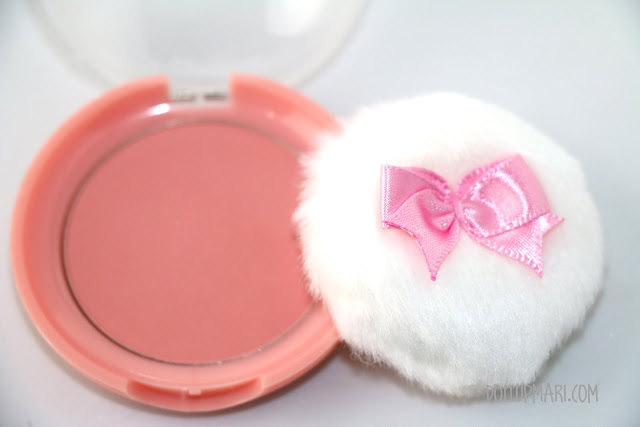 And this is the blush itself. I am sorry if the bumps are an eyesore! I forgot to take a close up photo before I began using it! So now it becomes apparent that this is not the yellow-orange cool undertoned peach colored blush I was thinking of. It ended up to be a coral-brown color with warm undertones, which made me happier actually. When swatched on the skin, it looks even warmer in undertone. I am just in love with this color, it looks so high end and branded, it's natural looking and elegant. I like how fine milled this blush is that it went on really smoothly, and was just right. It was not too stiff and hard to swipe, but was also not too pigmented to give pale skinned people a hard time. It also was a plus that it did not dust up as I was swirling my brush on it-- this means less product wastage and more product mileage. 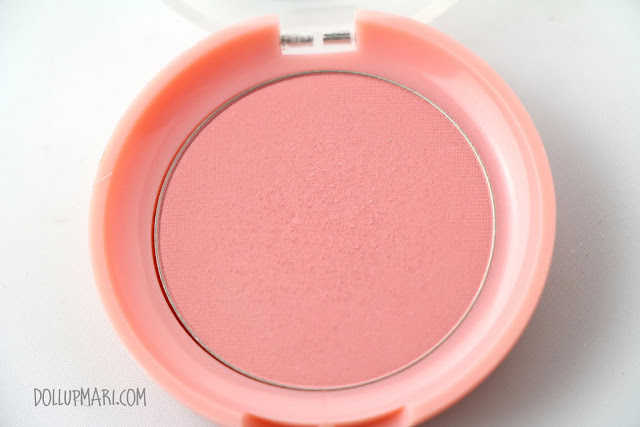 Had it not been for the branded goods culture here in the Philippines, this is actually one of the nicest shades of blush for a bride to wear. I guess I'll just have to try and find a high end dupe for this one, which I think is quite hard to do given how nice this already is. 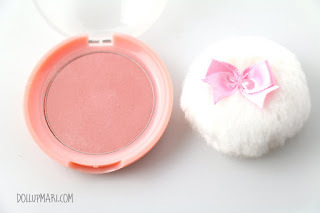 Definitely, I will buy this blush again, and perhaps try some of the other shades in the line (because as you all know more blush puffs equate to happier girls). What's been your budget makeup product that's wowed you more than your high end stuff? Please do tell me in the comments box!